‘Challenging’ is a word sometimes used to describe a visit to Guatemala, but maybe we should say ‘rewarding’ instead? Navigate the hazards of this Central American country and you’ll be treated to a welcoming, multi-faceted culture, buzzing cities, and an unmatched landscape. Located in Central America, Guatemala borders Mexico to the north and west, Belize to the northeast, Honduras to the east, and El Salvador to the southeast, as well as featuring coastlines along both the Pacific Ocean and the Caribbean Sea. 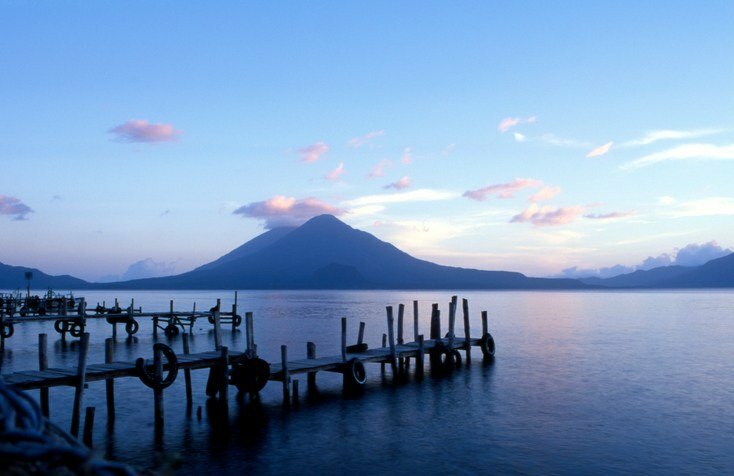 Generally speaking, any time is a good time to visit Guatemala. That being said, November to April (the dry season) is slightly more ideal for those who want to avoid getting soaked. Don’t let the rains stop you however, as everything should still be open and accessible regardless of when you visit. How do I get around Guatemala? There are a variety of buses that can get you around. You’ll find shuttle buses booked through tourism agencies, comfortable Pullman buses on highways, and smaller, more comprehensive ‘chicken’ buses that go everywhere (though they can be cramped and more dangerous). The vast majority of the population speaks Spanish, while Mayan and indigenous languages can also be heard. There are some English speakers in Guatemala, though it’s recommended that you brush up on Spanish phrases to get by. It may not receive the plaudits of the country’s natural landscape or some of the outlying cities and towns, but Guatemala City is worth a trip for those who are willing to unpack its sometimes-unwelcoming exterior. As the capital is likely to be your first port of call, it’s pretty much unavoidable. Luckily, as the centre of life in Guatemala, many parts of the city are home to museums, ample cultural events, and some great bars and restaurants. Parts of the city are dangerous and some areas remain dilapidated, so make sure you know where the off-limits places are. It may not be the highlight of your trip, but if you have to pass through Guatemala City anyways, you may as well see what it has to offer! Antigua (also known as Antigua Guatemala) is, in our humble opinion, the must-see city in the country. Located in the picturesque Central Highlands, Antigua welcomes visitors with a stunning volcanic backdrop. The real treat however is the city and the people. It’s home to a wealth of gorgeous colonial architecture, much of which has survived eruptions, tropical storms, and earthquakes. The people here are more than happy to welcome the many tourists Antigua hosts and give them a taste of Guatemalan culture. There’s not much else to say; only that Antigua is the best urban destination in the country. When we think of the Maya we often think of ruined temples and an era long since past. Well, that’s not always the case in Guatemala…where Maya culture and way of life is still alive and well! The town of Chichicastenango is inhabited mostly by descendants of the Maya and, as such, is the best place to get a window into the fascinating civilization and people. It doesn’t hurt that every Thursday and Sunday is a market day – where you can purchase fresh food, homemade clothes, and many more traditional trappings. What were we saying about ruined temples and ancient civilizations? Oh right…well rest assured that if you’ve come to Guatemala for that, you’re in luck. 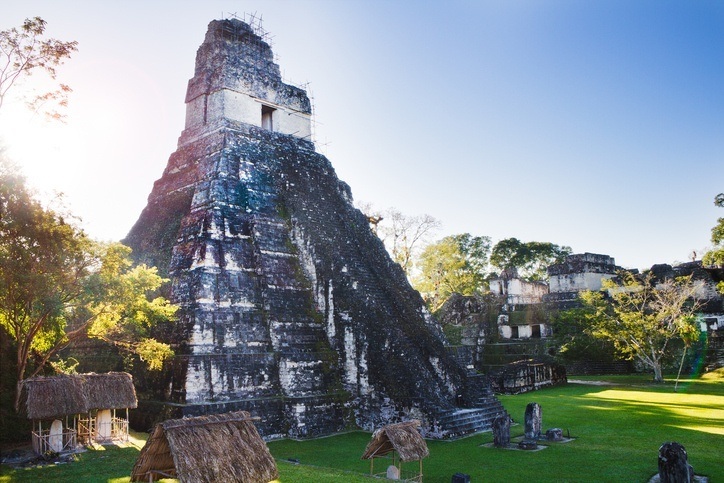 Located in the dense jungle, the Mayan city of Tikal has long fallen into ruin and is now one of the preeminent tourist destinations in Guatemala (and perhaps all of Central America). The tall structures are preserved extremely well and are well placed for tourists to walk amongst while getting a complete picture of the city. Along with Antigua, it’s one of the marquee destinations in Guatemala (just know that you won’t be the only one visiting). It might be a bit out there (and by out there, we mean a rough ride through the jungle), but the cascading turquoise pools are well worth the extra effort. Undeniably beautiful, the pools are a great place for swimmers to relax in a one of a kind environment. 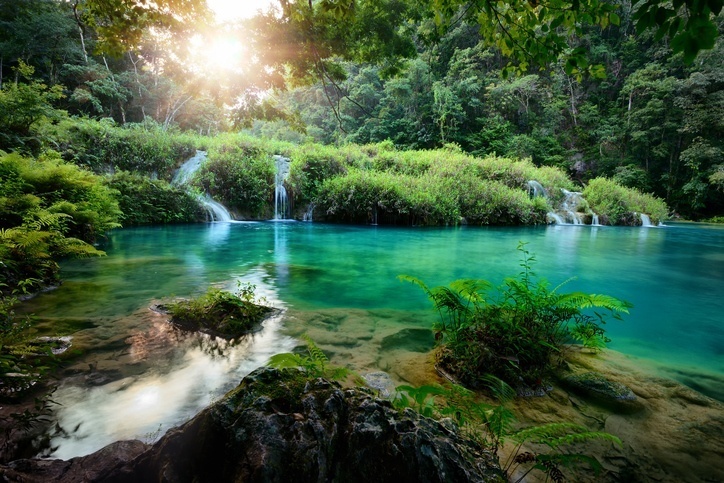 There are organized tours here if you’d like to make the planning stage a little easier, but no matter how you choose to visit Semuc Champey it’ll be an unforgettable experience. The deepest lake in Central America deserves more than just a place in the record books…it deserves to be explored and explored again! 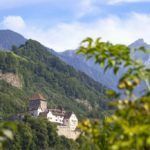 It’s worth a visit for the stunning hills and volcanoes that envelop it, and for the idyllic towns and villages that can be found on the shores. And it’s definitely worth it for the scuba diving that is unmatched within the country. 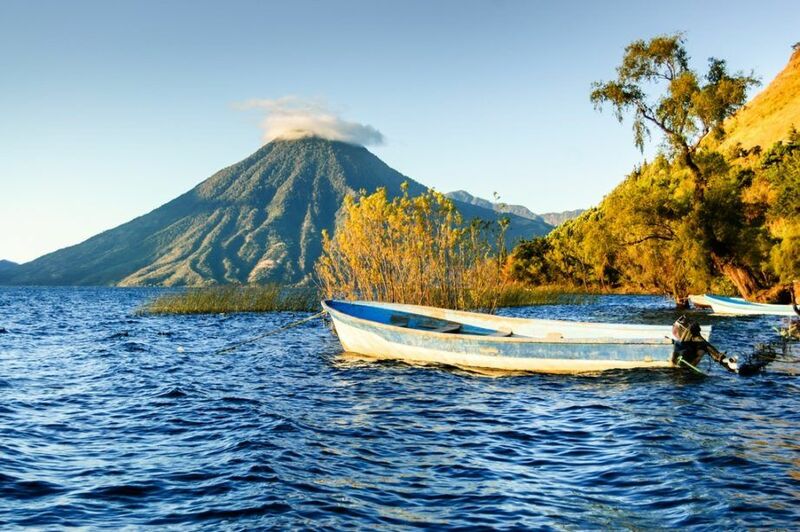 All in all, there’s no place in Guatemala quite as impressive and picturesque as Lake Atitlán and an opportunity to travel here should never be passed up. Visit by way of Panajachel, which serves as the tourist hub of the region. Round trip flights between Toronto and Guatemala City can be found for around $450 Canadian on short notice. The price can decrease even further if you locate deals or tourism packages. All in all, it’s not an incredibly long trip and is one of the cheaper places to fly to. Guatemala is, for the most part, pretty cheap. Average daily prices are about $48 Canadian with a budget of $16 for accommodation and $13 for food. Want to save even more? Keep costs around $19 a day if you’re thrifty. The higher end of travel here will cost you about $122 a day however. Before we get into safety, we have to touch on the current health issue with regards to the Zika virus. Spread by mosquitos, the sickness is usually mild and short term, resulting in fever, headaches, rashes, muscle pain, and other flu-like symptoms. That being said, pregnant women (and women considering becoming pregnant) should avoid the country for the time being. Be sure to talk to a healthcare professional before deciding to travel to Guatemala. There’s no denying that Guatemala has had problems with violent crime as of late. As such, a high degree of caution is recommended throughout the entire country by the Canadian government. Groups of criminals are common in many regions, so you’ll always want to be alert and not carry around valuables. Besides violent criminals, there are sporadic demonstrations, dangers on the road, vigilantes, and questionable reliability of public transportation. You’ll always want to travel with someone else and do not resist if threatened by robbers. We know this might sound scary, but you should know that the vast majority of those who visit Guatemala come back safe and sound, with only pleasant memories to share. 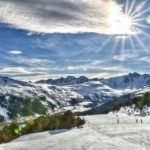 Be sure to do your research on safe areas versus dangerous ones and your trip should be one to remember for all the right reasons! For more on travel safety, check out the Canadian Travel Advisory for Guatemala. You can learn more about Guatemalan history and culture in the Country Profile plus its currency with our Spotlight. Check out the official Guatemalan tourism page for more.